By Rashaan Ayesh , Paul Specht on Friday, February 8th, 2019 at 7:30 p.m.
Old yearbook photos received new attention this week after an image of Virginia’s governor emerged and jeopardized his political career. A page for Gov. Ralph Northam in the 1984 Eastern Virginia Medical School yearbook features a photo of a man in blackface and another man in Ku Klux Klan robes. Northam, a Democrat, apologized for the photo on Feb. 1, then later claimed neither man is him. In North Carolina, similar racist images in the 1979 UNC yearbook emerged on social media. At least one political activist, prompted by a story published in a British news organization, tried to tie the blackface scandal to the N.C. Governor’s Mansion. To date, there’s no evidence that Cooper has ever appeared in a racist photo. A tweet crediting the Daily Mail with such news is false. Later on Feb. 6, the UK-based DailyMail.com posted a story about the photos. But a Daily Mail headline said, "Blackface lynch pics from Roy Cooper North Carolina yearbook." The Mail’s tweet said: "Blackface lynching pictures from UNC Chapel Hill 1979 yearbook emerge - the same year NC Gov Roy Cooper graduated." Although the headline doesn’t specifically say the governor was in the controversial photos, readers could interpret it to mean he was. A subheadline says, "Cooper was in the different Chi Psi fraternity did not feature on their pages," but that subheadline is in smaller font. It takes several paragraphs for the story to clarify the facts. The fourth paragraph says: "There is no suggestion that Cooper is in any of those photos." "BREAKING: Racist picture of Democrat North Carolina Governor Roy Cooper emerges just days after he called on Ralph Northam to resign - Daily Mail," Wohl tweeted. He didn’t include a link to his source, nor did he respond to a question from PolitiFact. 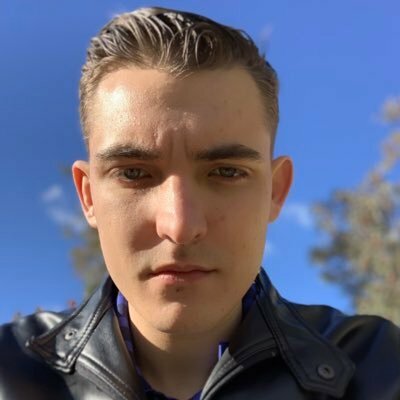 Wohl’s Twitter account might not raise red flags on first glance. He has a "verified" Twitter account, has hundreds of thousands of followers and is constantly tweeting. A quick Google search with keywords including "Cooper" and "blackface" tell a different story than the one Wohl presents. Headlines from mainstream news outlets focus on the fact that these photos are associated with the university and not the governor. It’s also important to know who the source is, and that can be done with another Google search. NBC News has described Wohl as a "pro-Trump conspiracy peddler." Wohl tweeted, "Racist picture of Democrat North Carolina Governor Roy Cooper emerges just days after he called on Ralph Northam to resign - DAILY MAIL." To date, there’s no evidence that any image of Cooper in racist garb exists. And, while the Daily Mail’s headline about old UNC photos was misleading, the company didn’t make the claim described by Wohl. We rate this Pants on Fire. Published: Friday, February 8th, 2019 at 7:30 p.m.
A tweet by the Daily Mail, "Blackface lynching pictures from UNC Chapel Hill 1979 yearbook emerge - the same year NC Gov Roy Cooper graduated," posted Feb. 7, 2019. Tweets by Colin Campbell, editor of The NC Insider, part of The News & Observer. Email correspondence with Jane Stancill, reporter for The News & Observer. Story by The Daily Mail, "Blackface lynching pictures from UNC Chapel Hill 1979 yearbook emerge - the same year NC Gov Roy Cooper graduated - just days after HE called on Virginia Governor to resign over racist photo," published Feb. 6, 2019. Stories by The News & Observer, "NC Gov. Roy Cooper calls on Virginia governor to resign over racist photo," published Feb. 2, 2019, and "UNC leaders denounce blackface in 1979 yearbook photo that is sparking viral outrage," published Feb. 7, 2019. Story by the Associated Press, "Virginia governor survives scandal by staying out of sight," published Feb. 8, 2019. 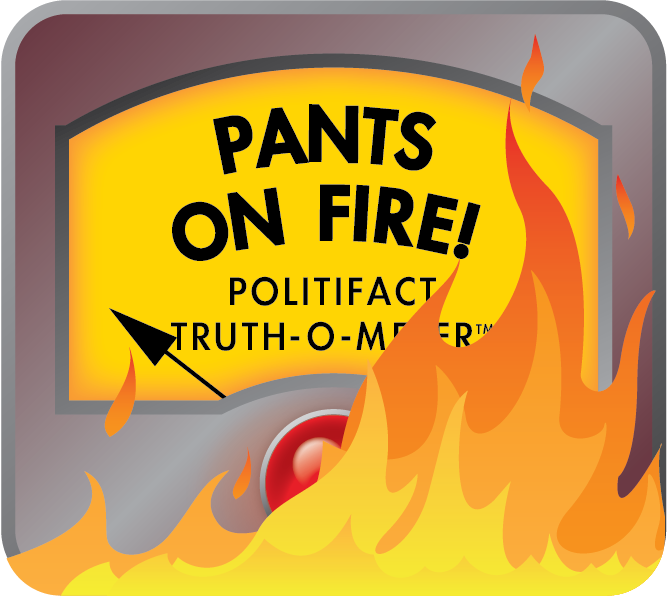 Fact check by PolitiFact, "Yes, Kamala Harris is eligible to run for president," published Jan. 22, 2019.